She’s fearless, she’s innovative and she’s influential. Who is she? Her friends call her MollyFi (AKA Krista Thibodeau) and she has been a mainstay in the Calgary Electronic Music scene since the early 00's. 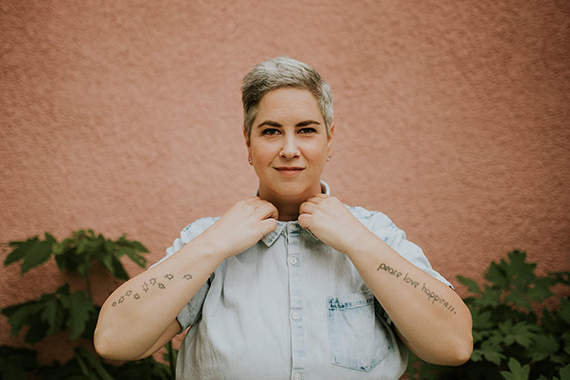 Dubbed Calgary’s first lady of Breaks, founder of the Girls on Decks DJ Collective (launched in 2003), Molly has spent the better part of two decades breaking down the walls for fellow female and nonbinary DJs and performers. Incorporating FeMC’s, Vocalists, B-Girls, Rappers and even burlesque dancers, Girls On Decks has become an important and influential movement in Western Canada. 2013 saw the launch of True Colors; a night solely dedicated to the artists within the LGBTQ community. Girls on Decks celebrates a weekly Friday night residency at Broken City Social Club in Calgary which features a rotating roster of Calgary's finest performers. Over the years, Molly has been invited to play alongside internationally renowned acts such as A.Skillz, The Freestylers (UK), Featurecast (UK), Neon Steve, Fort Knox Five, Miami’s Queen of Bass Baby Anne as well as IKONICA, Dunks (The Funkhunters) Malente (Ger), Esette, Jon Delerious, Small-Town DJ's, Skylar Love, Erica Dee, Freq Nasty, Deekline, Annalyze, B.Traits, Ursula 1000, Myagi, Kytami and Bassnectar, at renowned events such as Calgary, Edmonton and Vancouver Pride Festivals, Fozzy Fest, Peak a Boom as well as the Calgary Burleque Festival just to name a few. 2018 is shaping up nicely for Molly already as she was awarded Runner up in the "Best of Calgary" Best DJ Award, she will be playing in Invermere BC this July for Vibrant Festival and you can catch her headlining Winnipeg's, Memetic festival coming up in August. Summer is huge and its just getting started - oh and lets not forget your weekly fix of Molly over at Calgary's legendary Broken City.